We are a niche mortgage brokerage that secures financing exclusively for the hotel industry. Dedicated coverage throughout Canada and the U.S.
"We have given Clifton Blake Hotel Finance difficult assignments to obtain financing on several hotel projects including a mixed-use hotel and a residential construction project. They are knowledgeable, are grounded in solid underwriting and run a competitive bidding process. As a result, we have obtained funds at competitive rates and terms from lenders who understand our unique structuring needs." Lakeview Management Inc. & Lakeview Hotel Investment Corp.
"Clifton Blake was able to design and execute a finance strategy with a strong regional bank, directly in line with the market read they provided at the outset in terms of cost and timeline. They also lent their expertise in progressing our discussions and decisions around brand selection and critical partnerships. We were very satisfied and would welcome the opportunity to work with Steve and his team again." Not only is the hotel business our core business, it's our only business. Our clients benefit from our highly knowledgeable team of specialized hotel financiers. A 20-year veteran of the industry, Salim's passion for hotels began early in his hometown of Vancouver. After graduating from the University of Victoria with a degree in Hotel Management and advancing in hotel operations, he then began focusing on the business side of hotels. He successfully held roles as a hotel appraiser with HVS Canada and as an underwriter and account manager for a national hotel lender. This rich background and in-depth knowledge allows Salim to expertly analyze a hotel transaction and provide specific guidance to both clients and lenders. 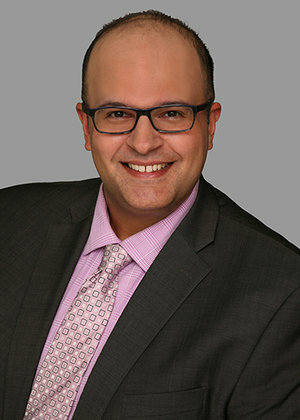 Salim launched the hotel mortgage brokerage division at Clifton Blake in 2012 and has successfully arranged financing from coast to coast. Known for his integrity, diplomacy and sincerity, Steve has always strived to be a prime resource partner his clientele and colleagues can trust. Over the last 20+ years, his success has resulted from understanding the client's needs, providing creative solutions and building long-term relationships. Past positions include franchise development at Choice Hotels Canada and Best Western International, and a hotel finance position with GE Capital. Since joining Clifton Blake in 2015, Steve has offered his clients in Canada and the U.S. top-notch guidance from start to finish, ensuring the entire financing process is seamless, efficient and rewarding. Steve earned an Economics and Business Degree from Acadia University. Give us a call regarding your financing needs. Let’s discuss how our experience, insight and connections can help your business. ©2017 Clifton Blake Hotel Financing Division. All rights reserved.